application workloads - your organization probably has them, too. SOP documents are great, in that they typically spell out all the detailed steps necessary to configure IT solutions according to each organization's preferred specifications. However, these SOP documents can frequently be hundreds of pages in length. Let's face it - ultimately, the tasks in these documents still have to be manually implemented by ... human beings. And, no matter how skilled we are, manual steps can be time-consuming to perform and can lead to errors or oversights that could result in misconfigured components. 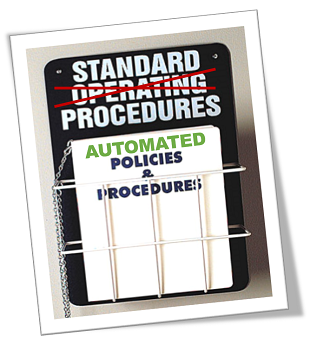 With a wealth of automation tools available these days, I see organizations moving in the direction of transforming their existing SOP documents into automated processes that allow them to increase their agility in deploying new IT solutions with consistency in how these solutions are configured. As organizations progress toward Private Cloud and Hybrid Cloud strategies for new application workloads, automation is also a key capability in being able to abstract the complexity of underlying IT architectures into manageable pools of compute, storage and network resources. How do I get started with Automation? If you have IT Pros on your teams that are comfortable with scripting, I'd recommend taking a look at PowerShell 4.0, which includes a new Desired State Configuration (DSC) capability. DSC conforms to DMTF industry standards, and as such is easy to integrate into management solutions for automating Windows and Linux workloads. DSC provides a declarative language, which makes it super-easy to define common configurations without complex conditional clauses and looping constructs. If you're not comfortable with scripting, datacenter automation tools are available, such as System Center 2012 R2 Orchestrator. Tools like Orchestrator provide a GUI design canvas for implementing automated workflows to deploy, configure and manage IT solutions - without requiring deep scripting expertise.